Mike specializes in state and federal appellate work, white collar defense, and complex commercial litigation, arbitrations, and other unusual business disputes and on counseling businesses of all sizes on all manner of litigation avoidance and other issues. Mike thrives on complex cases with short deadlines—he spent his early career practicing in the U.S. District Court for the Eastern District of Virginia in Alexandria: the “Rocket Docket”, and today he practices regularly in state and federal courts throughout the Nation. A native of Roanoke, Virginia, Mike received his A.B., with highest honors, in history, from The College of William and Mary in 1996, and his J.D. from the T.C. Williams School of Law at University of Richmond, in 1999, where he won spots as an Editor of the Law Review, and on the Moot Court Board. 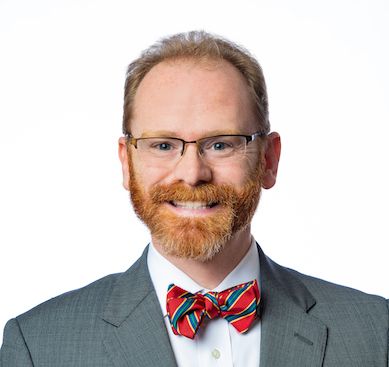 After a prestigious clerkship with U.S. District Judge James Turk, in the U.S. District Court for the Western District of Virginia, Mike spent nearly 8 years honing his skills at the D.C. office of a major national law firm. Mike has fought, and won, cases all over the country, including victories in the U.S. Supreme Court and the U.S. Court of Appeals for the Fourth Circuit. He also served as General Counsel for the National Cold War Museum. Mike is admitted to practice law in Washington, D.C., and the Commonwealth of Virginia.